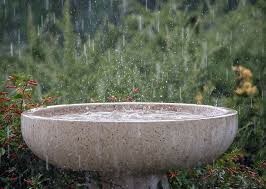 In South Africa a large number of small-scale farmers fall within the maize-producing summer rainfall area. The prediction of climatic variables for a specific season enables these farmers to make several farm-level decisions such as the choice of livestock or crop, investment in feeds or fertilizer, use of medicines and whether to expand or decrease camp size. 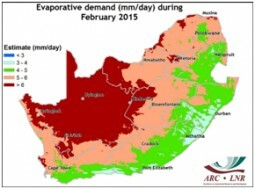 The monthly Umlindi newsletter produced by the Agricultural Research Council - Institute for Soil, Climate and Water (ARC-ISCW) provides valuable information on the percentage of long-term average rainfall and monthly evaporative demand. 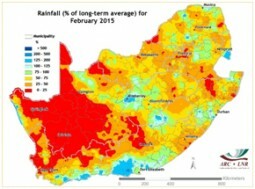 The current issue indicates that the total rainfall recorded in the maize-producing summer rainfall area of South Africa is below normal (Figure 1). This deficit is exacerbated by the high evaporative demand indicated in Figure 2. 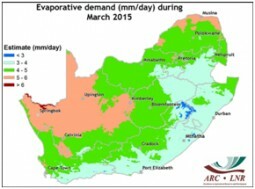 Although some parts of the maize-producing area recorded normal rainfall during the months of February and March, the evaporative demand was very high, especially in the Free State and North West provinces. 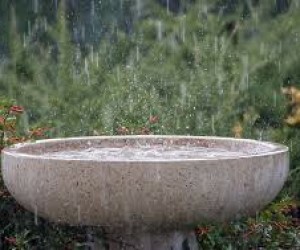 According to several seasonal forecasts for the period April-May-June to June-July-August there is a development of El Niño as we approach the autumn and early winter period, even though the impact of the El Niño Southern Oscillation (commonly called ENSO) is more prevalent during the summer season in South Africa. 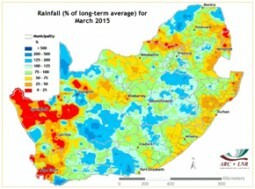 The rainfall forecast indicates below-normal rainfall in the greater part of the maize-producing area whilst the temperature forecast indicates cooler day- and night-time temperatures during the winter season. It is therefore reasonable to state that as the current seasonal outlook indicates that the prevailing dry conditions in the maize-producing summer rainfall area will not improve as we move towards winter, there is little prospect of improvement in the current cropping conditions for dryland maize. As for animal husbandry, communal grazing conditions in most areas are also indicating the effects of below-normal rainfall received in the second half of the summer season. In order to minimize the impacts of the current weather conditions, a reduction in livestock or early purchase of animal feeds are recommended ahead of the winter and spring seasons.